To Dog With Love: Book review and giveaway: For the Love of Dogs: An A-to-Z Primer for Dog Lovers! 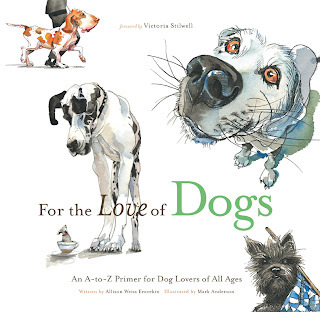 Book review and giveaway: For the Love of Dogs: An A-to-Z Primer for Dog Lovers! Today is book review Thursday!... ok, I just made that up. But since I just received a beautiful new book about dogs in the mail, it IS the perfect day for both a book review and ... ta-da ... a giveway! 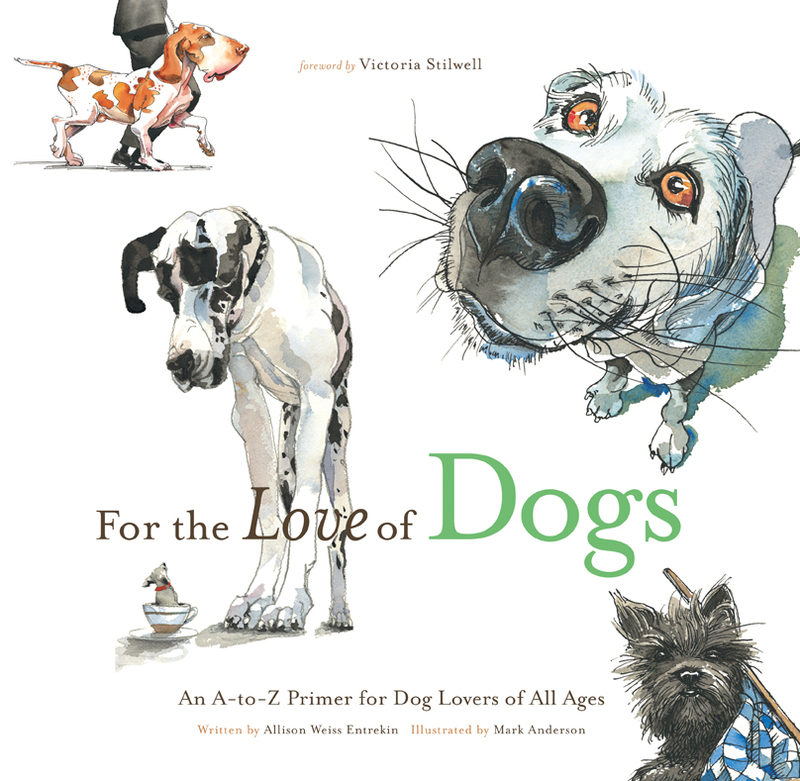 For the Love of Dogs: An A-to-Z Primer for Dog Lovers of All Ages is the latest in the series of the For the Love of ... books. Written by Allison Weiss Entrekin, editor of Doggie Aficionado magazine, this whimsical book is a fun read and tribute to dogs of all sorts. Does Bo Obama share the President's bed? What instinct do all dogs share? Which breed was originally bred to help fishermen catch fish that escaped from their hooks? And while we desperately hoped that "H" stood for Havanese, we weren't disappointed with Entrekin's choice. Our favorite however, was the choice of It's Me or the Dog's Victoria Stilwell, who wrote in the book's forward, "to me, 'P' is for Positive -- always has been, always will be. " With colorful illustrations by Mark Anderson, this is a charming book, appropriate for all ages. So whether your dog is "A" for Adopted or "Z" for catching some ZZZs there's something for every dog lover in this book. How to enter our giveaway! And now, for the FUN part, since we LOVE giving stuff away! Enter our little contest for the chance to win a copy of For the Love of Dogs: An A-to-Z Primer for Dog Lovers of All Ages. To enter, simply leave a comment on this blog post and write what any letter in the alphabet means to you. For example, C is for Cosmo Havanese, my high-flying buddy and best furry pal! Entries are open to U.S. residents only until midnight EST Wednesday, Feb. 9 and the winner will be announced on this blog on Thursday, Feb. 10. The winner will by chosen by random.org. Disclaimer: The nice folks at Triumph Books sent us this book to review and are providing one for the giveaway. A is for Animal Outreach; a non-profit in central OH that funds spay/neuter programs for the pets of people on public assistance. P is for Pugs ... What else needs to be said? S is for schnauzers of course! Minature, Giant, and Standard are all one big happy family. K is for Kouga my crazy fun adopted Alaskan Malamute. L is for Leah, my lovable shiba inu! W is for Westies, their Westitude, WestieWaves, and WestiesWorldWide! I is for Irish setter. My breed of choice. Full of fun, mischief and love of life! PS. If I could choose a second letter is would be R for Rory, my current Irish and the dog of my heart. G is for Gus...the light of our lives! Cheesy? Yes, but oh-so true! DUSTY: F is for Furever homes, something we hope all dogs and cats find. HURLEY: K is for Kindness, something all anipals have in common. P is for Prudence, the Perfectly Prudent, Patient, Possibly the best coonhound ever and my Pal! Thanks, this looks like such a wonderful book! The cover is so freakin' cute! B is for my Beautiful Bella! H is for hope. We hope that some day all dogs will have a home and all homes will have a dog. This is very stimulating work you have written for us. Some people need to be guided that these things can happen to anyone. You have shown me a better outlook now.